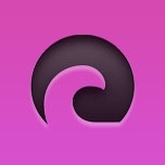 Description iTransmission is a native BitTorrent client for iOS. It uses the same backend as Transmission BitTorrent client used in Mac. It's a fully featured torrent application for your iPhone, iPad and iPod Touch.